Construction specifications of wall and base cabinets. 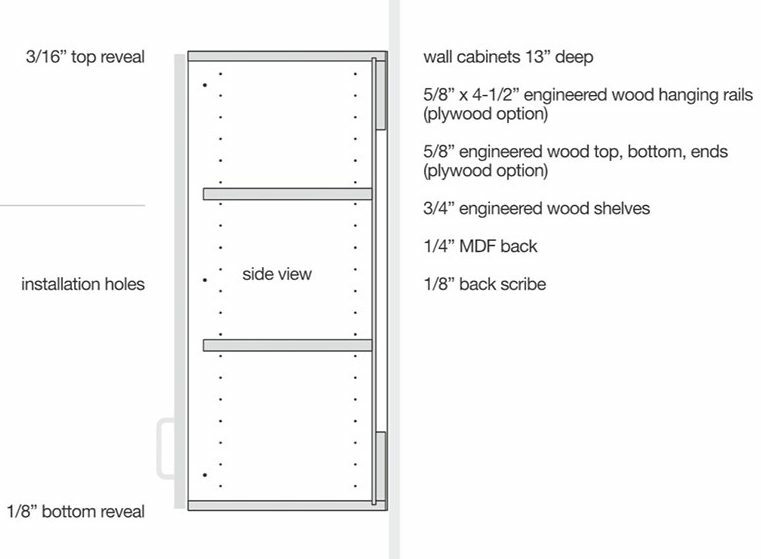 A detailed diagram of a typical Cabinet Collection wall cabinet. 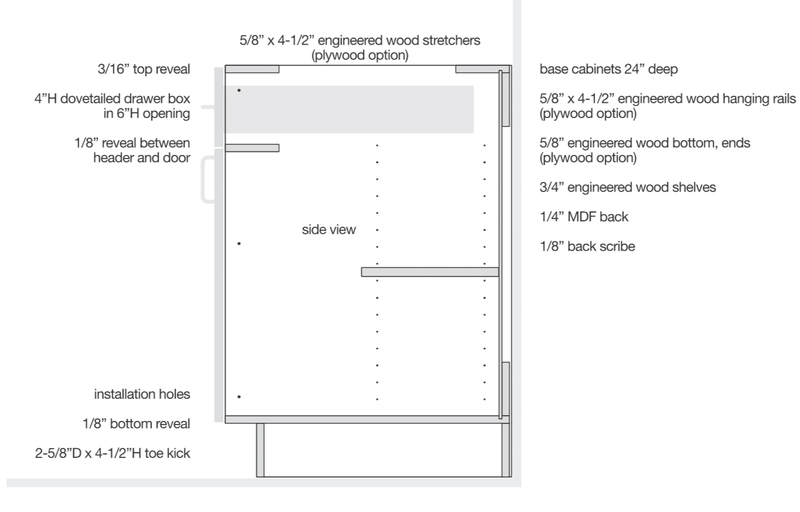 A detailed diagram of a typical Cabinet Collection base cabinet.